As the holidays are fast approaching, a lot of us just want to relax and enjoy life. The usual option would be to go out of town. 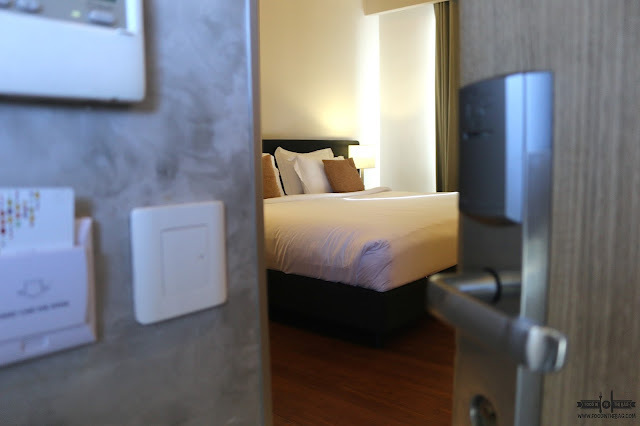 Rather than hassle yourself with all the traffic and bottlenecks, having a staycation seems to be a better and affordable alternative. Staying at hotels and doing nothing pretty much would be the definition of a vacation. At MERANTI HOTEL in QUEZON CITY, that is their business. 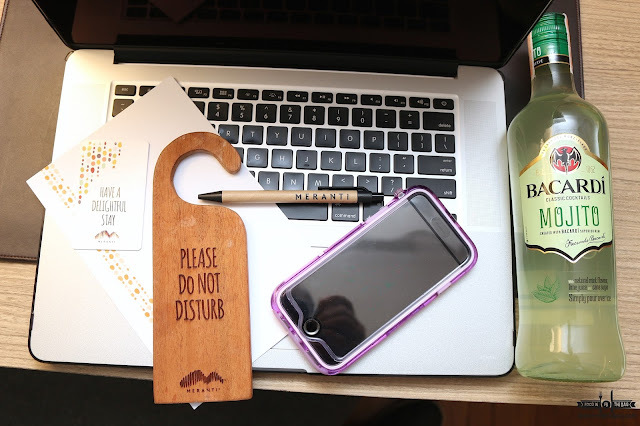 Here are 5 reasons why you should consider having a staycation with them this holiday season. 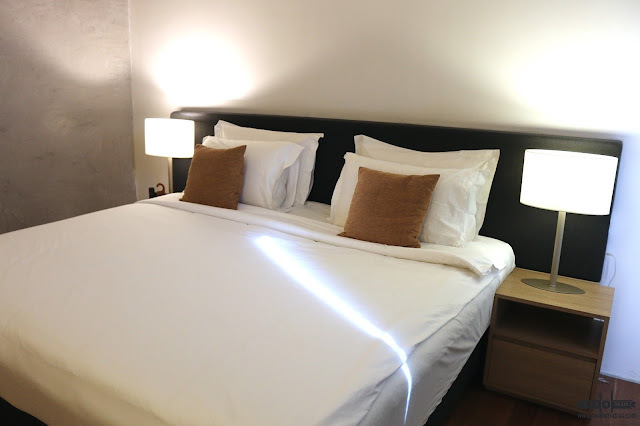 Either way you look at it, MERANTI HOTEL has emphasize the importance of sleep quality. The beds are terribly good. One minute on it and you will have a hard time standing up because of how comfortable it is. The pillows are well thought off as well. One is feathery soft while the other is a bit harder and seems to be a memory foam. 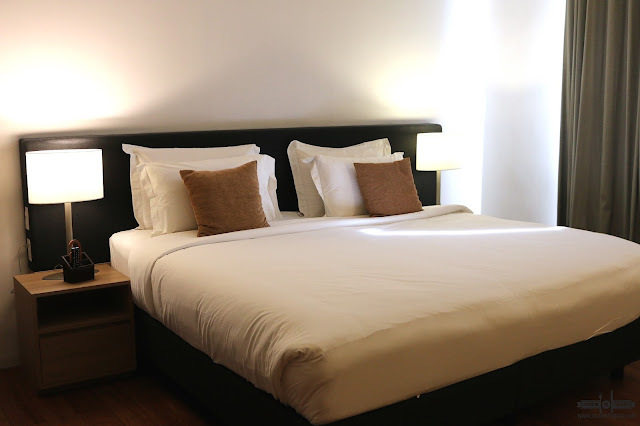 The hotel is strategically located along Scout Castor street and has another entrance on Roces Avenue. 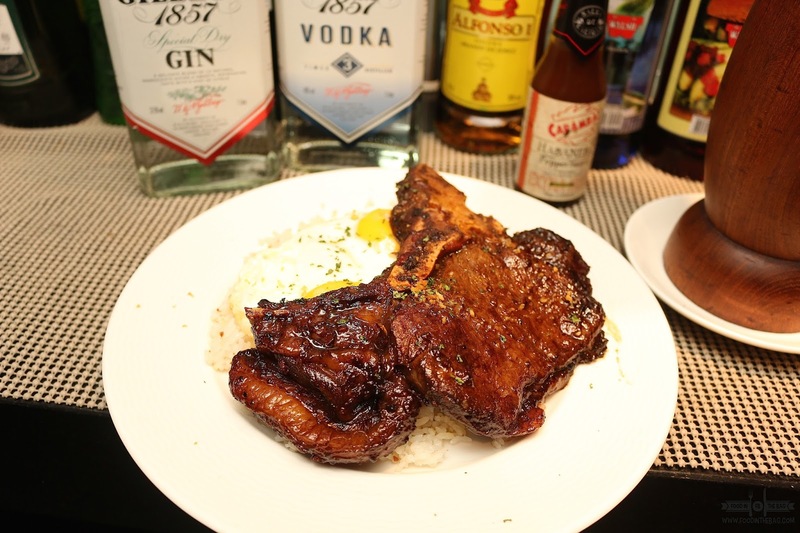 From here, it is walking distance to different establishments in the Tomas Morato area such as the original Max's. 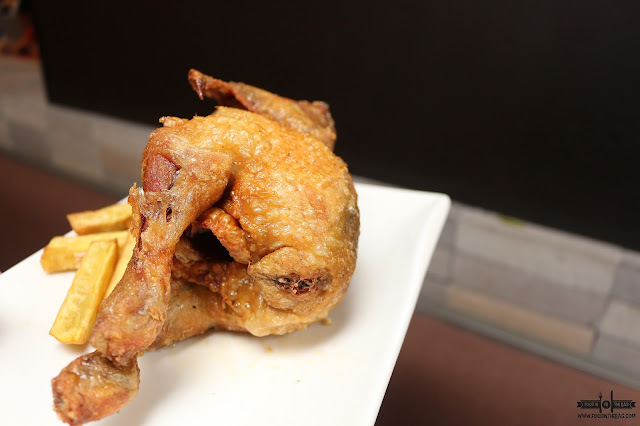 MAX'S has been creating new dishes that compliments and goes well with it's juicy and succulent original fried chicken. Some would go for the classics like Kare-Kare or Pinakbet. Their version of the Pork Adobo was pretty good. 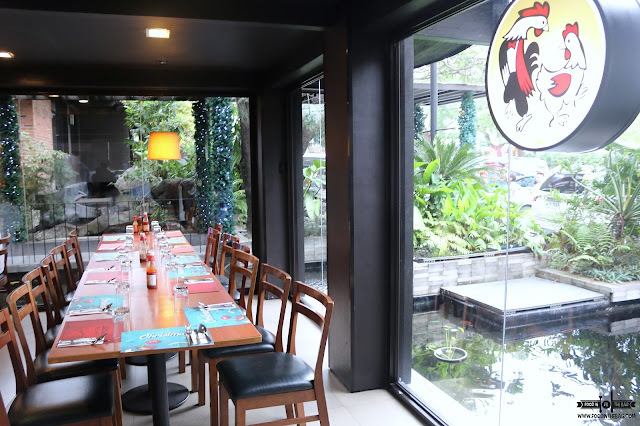 This would be the right place to have lunch or dinner specially if you're with the family. 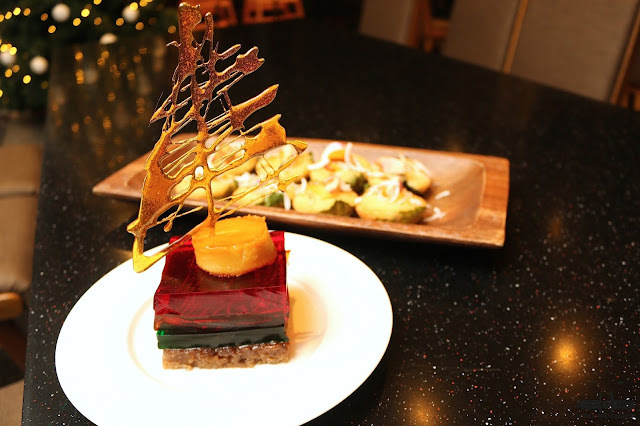 For December 24 till the 30th, MERANTI'S in house restaurant has created a few dishes to entice their guests. 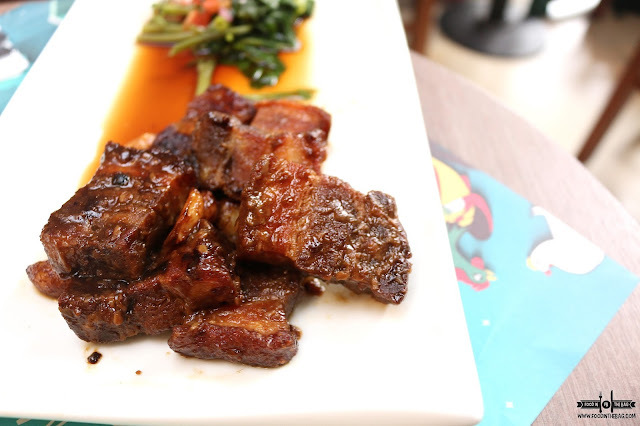 Thinking about Filipino traditional dishes, they have created a menu that is perfect for the season of sharing. 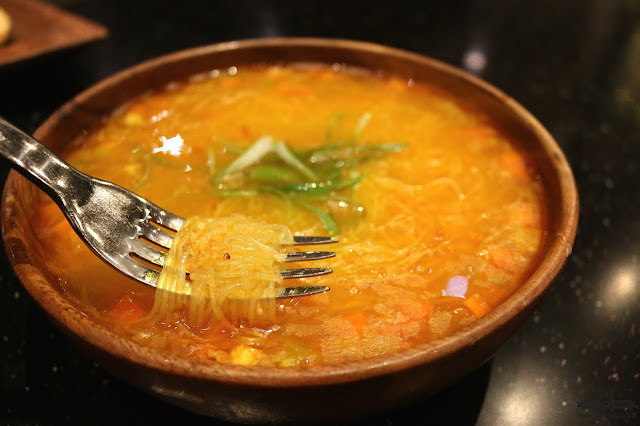 The CHRISTMAS SOTANGHON SOUP would be just right for the cold weather. Smooth and it definitely warms the stomach. 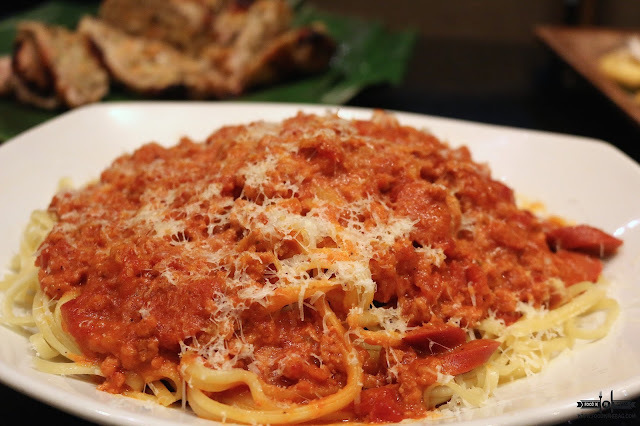 In a genius manner, they recreated the PINOY SPAGHETTI. This is the traditional and old school recipe that is quite familiar with the Filipinos as they grew up. Unlike the original foreign version, this one is sweet to taste and is filled with even those hotdog cuts. Delicious. 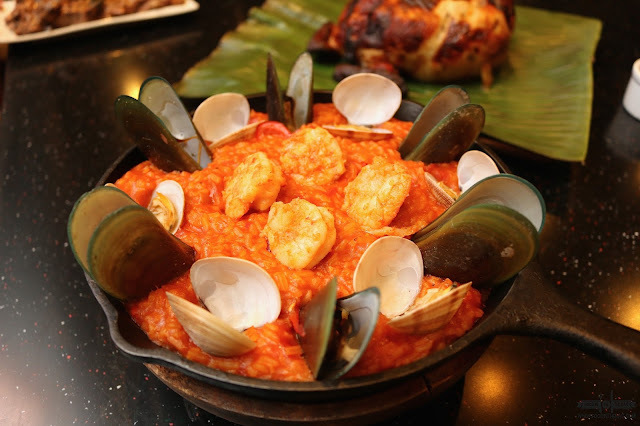 For rice lovers, they might enjoy the SEAFOOD PAELLA. This one is a bit on the soupy side as it tries to share the flavors of the sea. 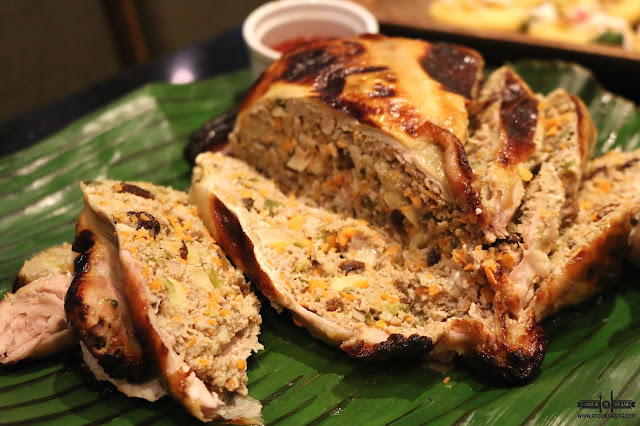 Interesting and delightful, the CHICKEN RELLENO is the Filipino version of Chicken with stuffing. Ground beef mixed with vegetable and spices were placed inside for the meat to absorb the flavors. Dessert was masterfully done. The Christmas Tree looking sweet ending is called the AGAR-AGAR. There is sticky rice at the bottom layer while different jelly in the middle. On top lies the leche flan and a sweet design. 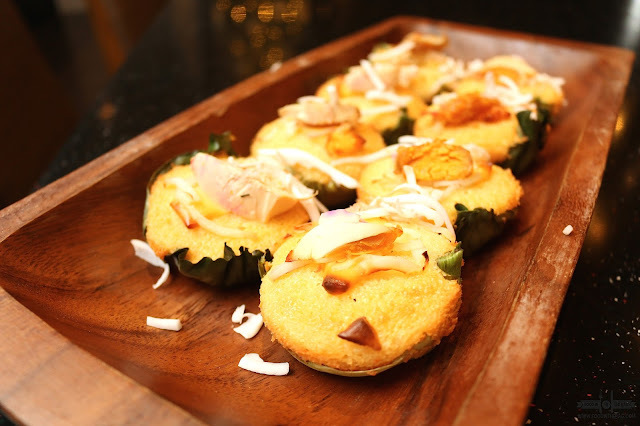 If you aren't into over the top dishes, you might want to go for the simple BIBINGKA. This one are bite sized specialty that has salted eggs and a bit of coconut shavings. These dishes would be offered as a set. You may want to reserve a day ahead just in case. As mentioned, staycations are there to be enjoyed. 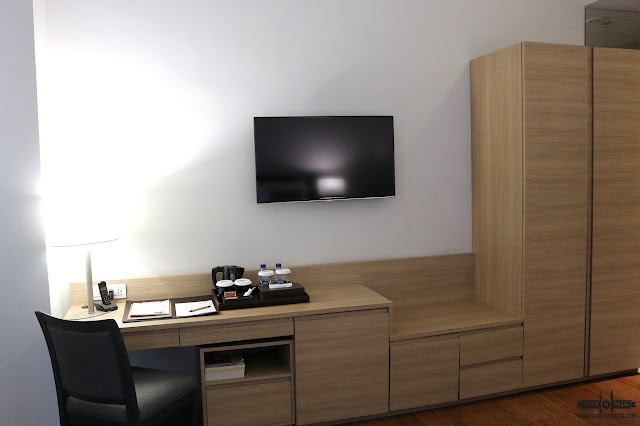 You deserve having time for yourself to browse the internet, drink a little and even enjoy the state-of-the-art smart tv. Remember, it's perfectly fine not to be disturbed. 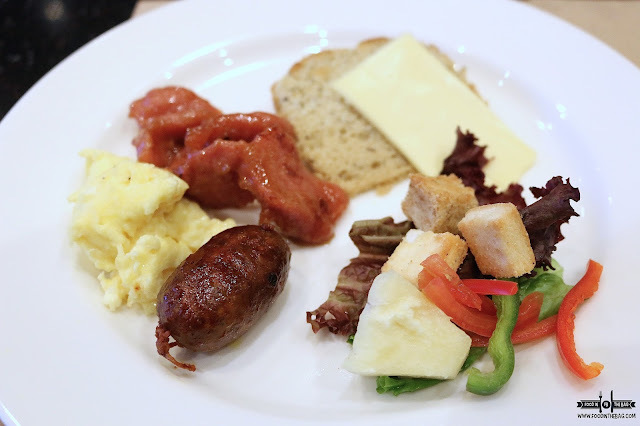 Since MAPLE is the in house restaurant of MERANTI HOTEL, you can be assured of their quality dishes. 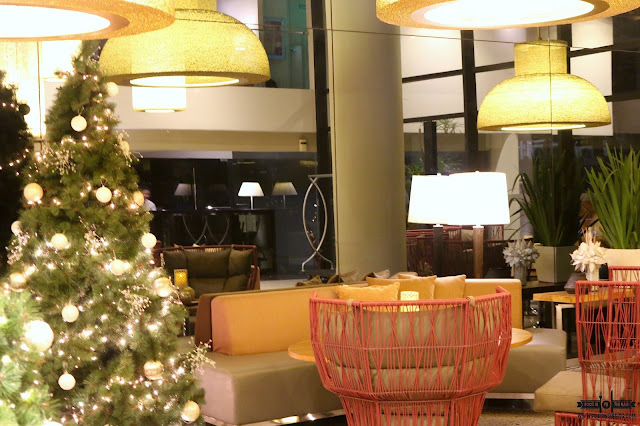 Thankfully, you have the luxury to have them either in room or downstairs in the lobby. The breakfast spread isn't as huge as other places but it is somewhat complete and filling. 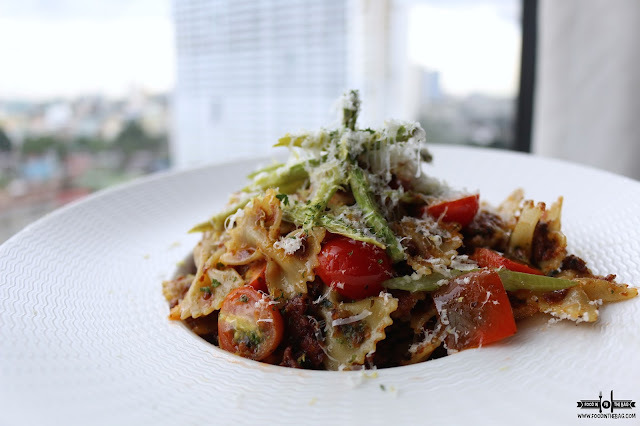 Even if most of the reasons are about food, staycations are what you make of them. Basically, staying in bed all day and relaxing. 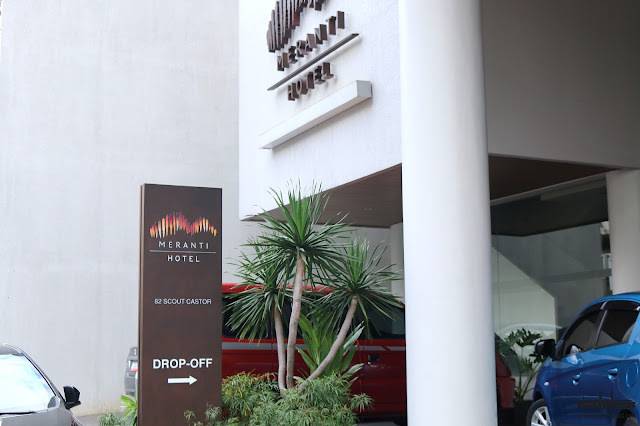 At MERANTI HOTEL, they'll make sure you do just that. Pinoy Spaghetti, Mini Bibingka and Agar-Agar. and good for 4-5 pax at Php. 2850+. *One day reservation is required. Call us at 376.6340 to 42. 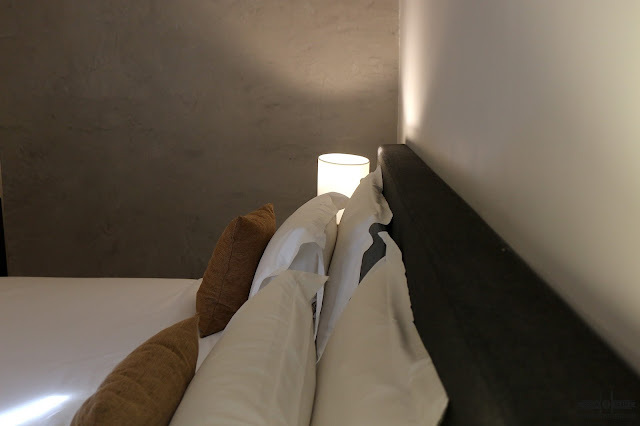 Hotel is really great, I room looks small but its okay, Food looks really yummy and would love to stay here someday.